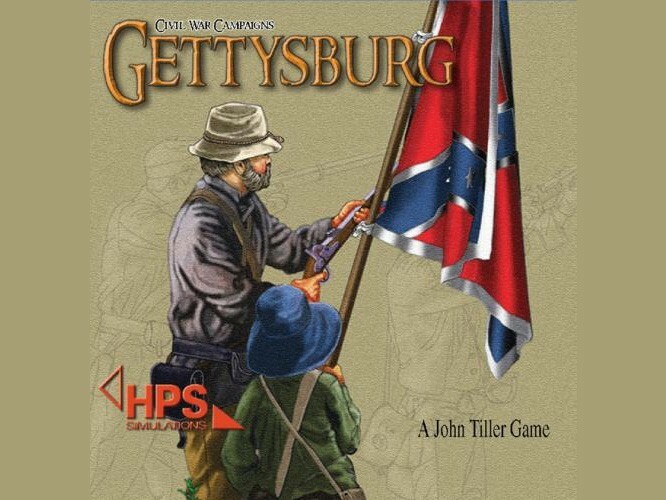 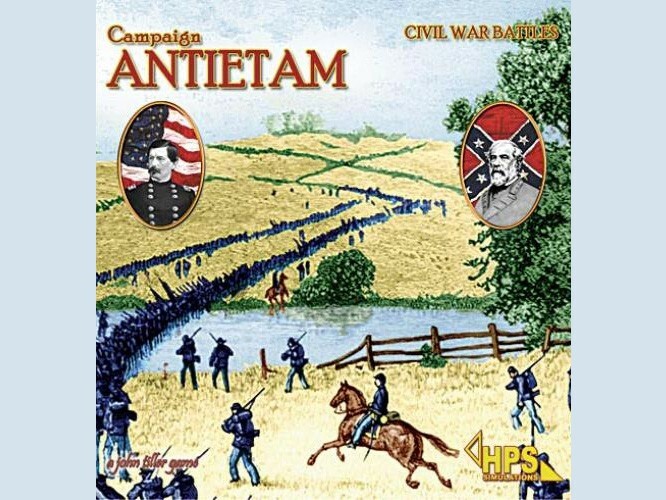 In one of the hardest fought battles of the Civil War, the Confederates roll up the leading Union regiments, only to be stopped cold when Grant takes the field and launches a vigorous counterattack. 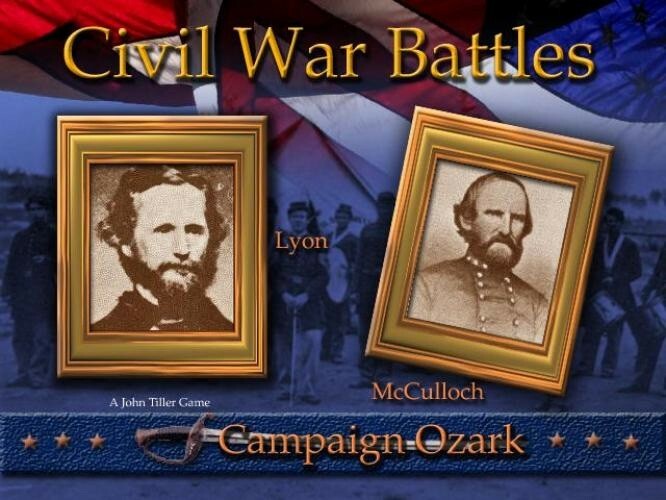 With the Union now secure on the Mississippi, the way is open for Grant to split the Confederacy in two. 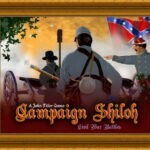 Had Johnston won at Shiloh, the course of the Civil War might have been different. 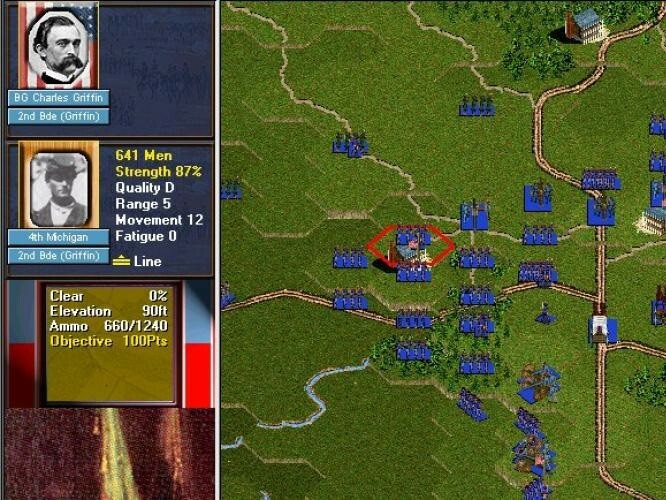 Now is your chance to take command on this decisive battlefield. 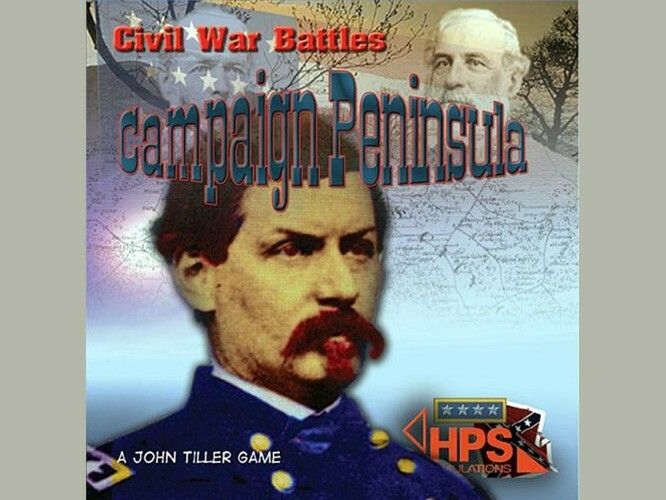 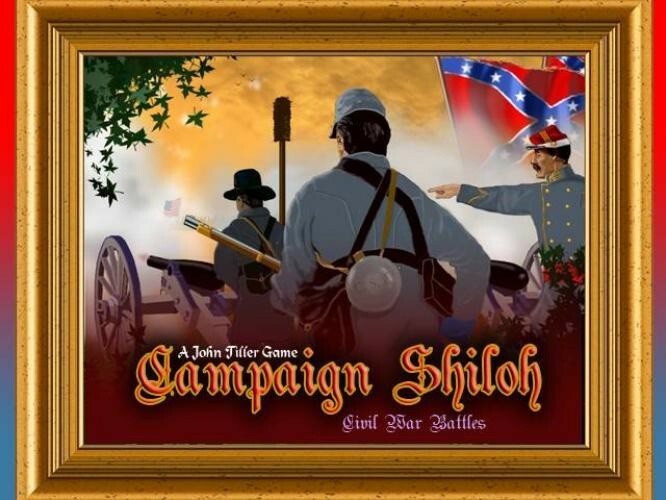 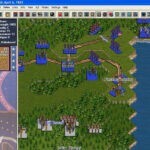 The heart of Shiloh is the campaign system. 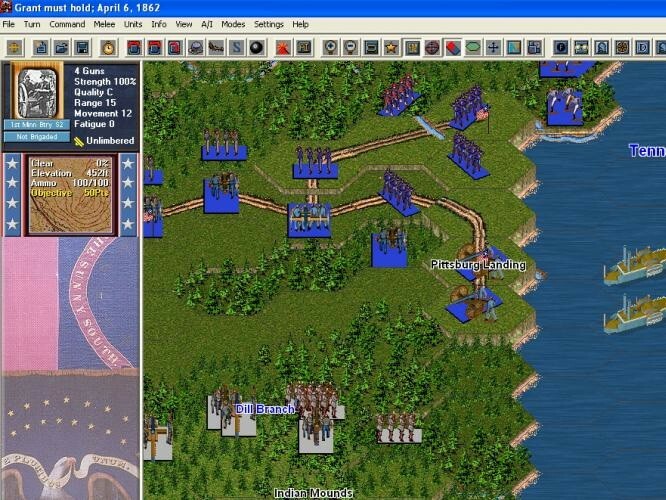 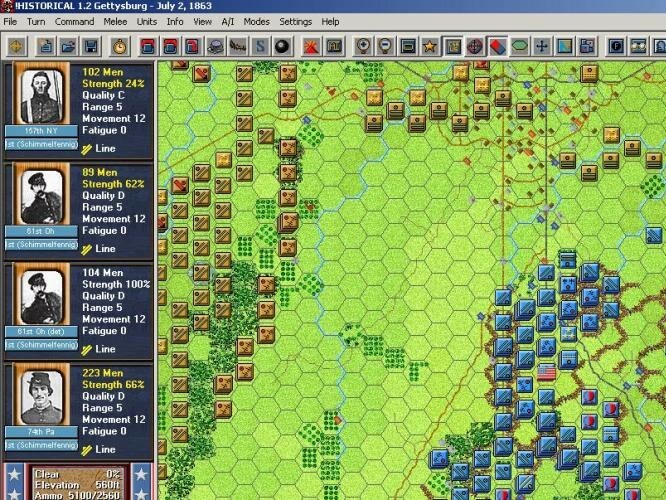 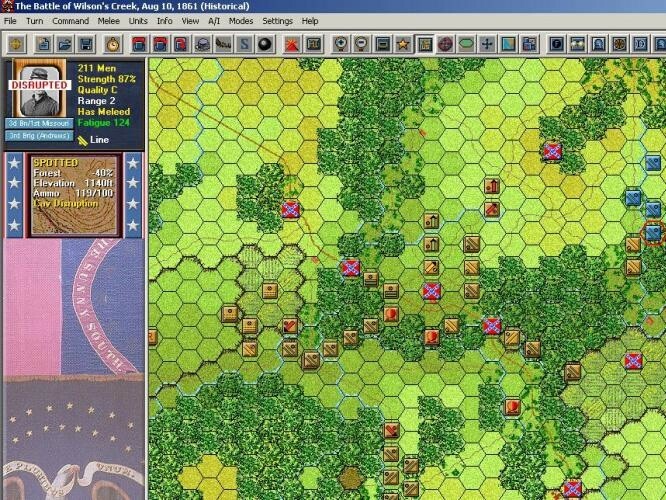 At each stage of a campaign, players choose from 2-4 operational decisions that will result in a tactical battle to be played out on an expansive map, providing room for maneuver. 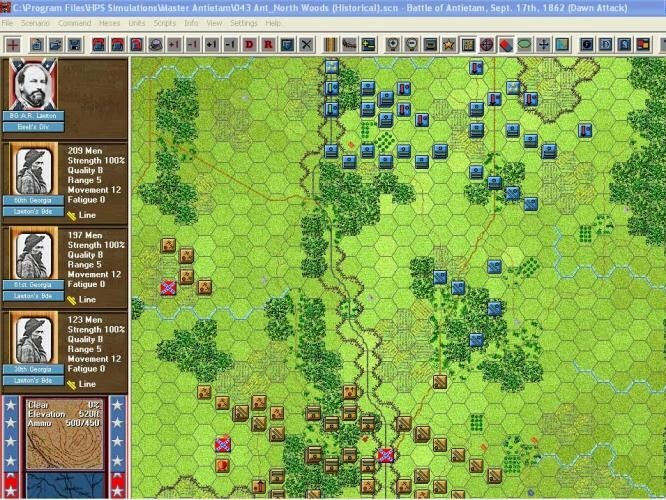 The campaign is non-linear, with both offensive and defensive operational options available to each side.